20 August 2013, Keelung, Taiwan – Lian-Li Industrial Co. Ltd today announces a new slim brushed aluminum M-ATX chassis with side mounted radiator support, PC-V360. While having a small and slim profile, the PC-V360 allows DIY builders to assemble an enthusiast level system with support for AIO liquid cooling systems. A hinged bracket directly across the CPU allows DIY builders to install a 240mm radiator in the PC-V360. The bracket secured by thumbscrews can be swung open on its hinge to allow for easy access of the internal components. The bracket can also be removed for fan/radiator mounting as well as taken off completely if not being used. While being small (180×388 x480mm (7.0”x15.2”x18.8”) WxHxD), the PC-V360 is able to hold an impressive amount of hardware. 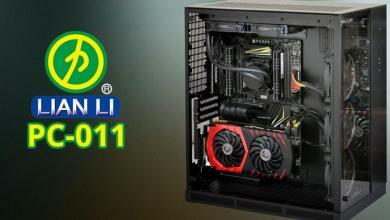 VGA cards up to 310mm (12.2”) and power supplies up to 280mm (11.0”) are supported. 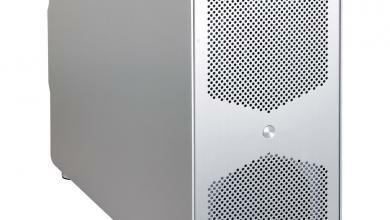 The two removable hard drive cages hold a total of five 3.5” and 3 2.5” drives. Even with its slim profile, the PC-V360 allows for ample room for cable management due to its indented motherboard tray. The PC-V360 has many tool-less features allowing for simple setups and installations. 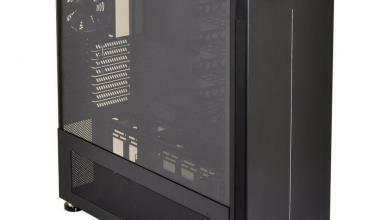 The pop-off side panels make going into the case for installations, upgrades, and maintenance a cinch. All the hard drives, 3.5” and 2.5” can be mounted tool-lessly with thumbscrews with rubber suspensions. Additionally, both hard drive cages can be completely taken out with the removal of a couple of thumbscrews. In addition to the support for 240mm radiator on the side mounted bracket, the PC-V360 has several solutions for effective cooling. 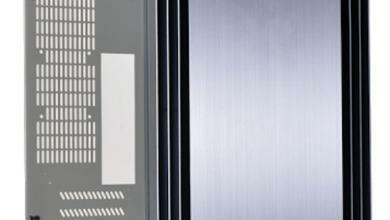 The front 140mm fan pulls in cool air through vents on the sides of the front panel leaving the front brushed aluminum aesthetics undisturbed. A 120 mm fan on the top of the case pulls out the hot air. 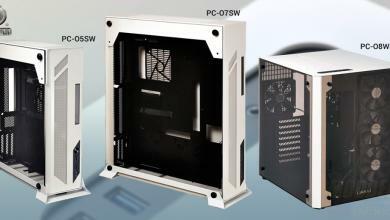 The PC-V360’s front and rear feet raise the main body of the floor, allowing for heat to disipate faster from the case. 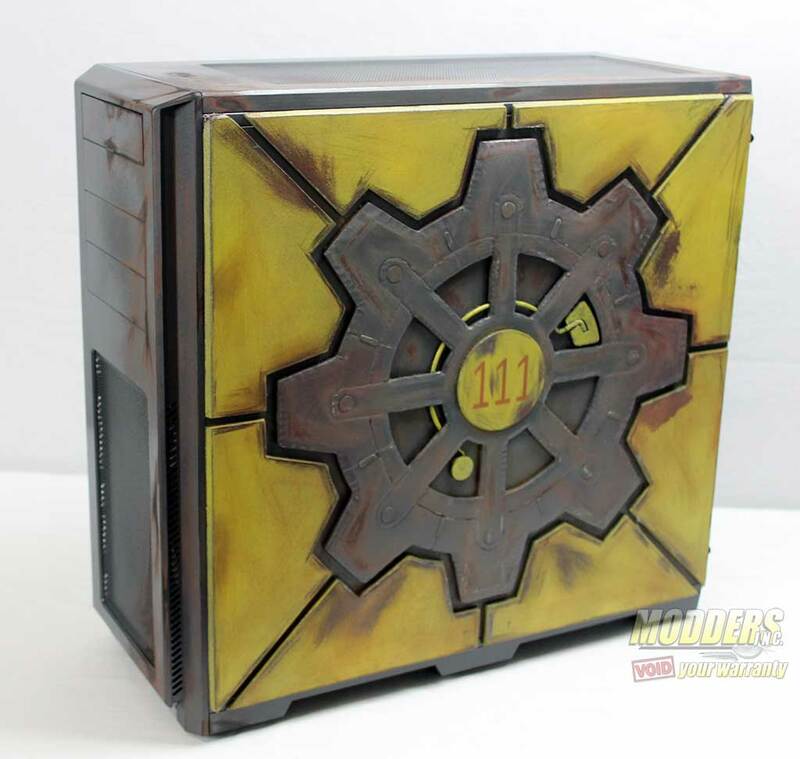 Additionally, as graphics cards are to be mounted towards the bottom of the case, the chassis floor has ventilation protected by a removable dust filter to provide more cooling. The I/O panel is located on the right side of the front of the chassis. Connections include two USB ports and HD audio. 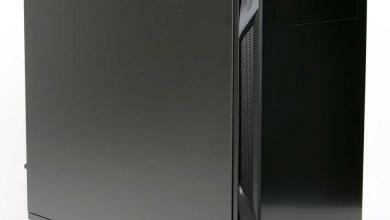 The PC-V360 will be first available in Microcenter for the suggested retail price of US$140.